Exchange Students Program: Registration is now OPEN! Registration for Exchange Students Program to China, Spain and Short Program to Malaysia. This Program is available for all students of Universitas Muhammadiyah Yogyakarta. 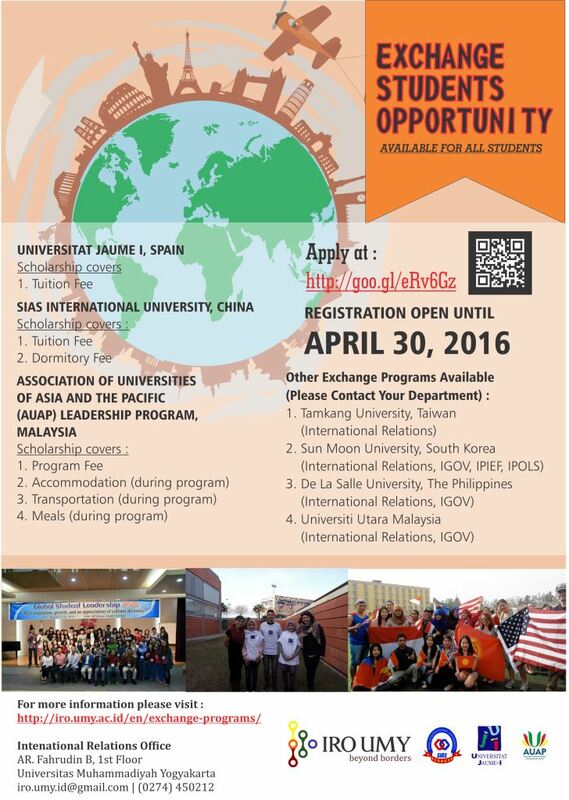 the programs that are avalable for all students only the exchange students program to SIAS International University (China), Universitat Jaume I (Spain), and AUAP Leadership Program (Malaysia). Other programs available are only for students from certain departments. For those who are interested in the programs please contact your department. Are You Ready to Feel The International Atmosphere?